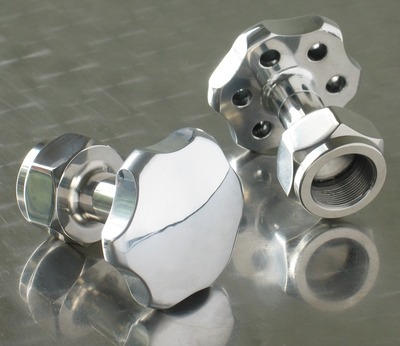 Billet aluminum and stainless steel top yoke nut to fit the the Kawasaki W650. Reminiscent of a steering damper off a British cafe racer from days gone by. 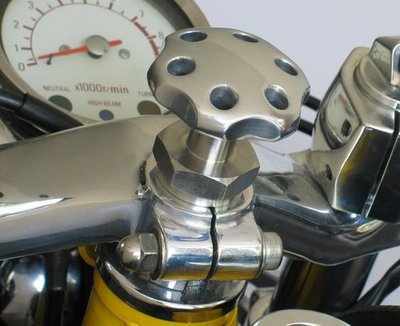 This top yoke nut will give your Kawasaki a classic cafe racer look. This is designed to be used with clip-on bars.